Lucasfilm and Walt Disney have released a new short featuring the characters from the upcoming animated series Star Wars Rebels. 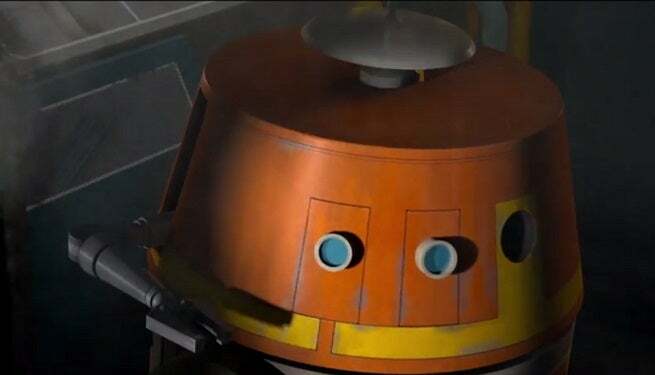 Titled "The Machine in the Ghost," the short sees the cantankerous astromech droid of The Ghost, Chopper, stuck in an argument between Hero and Kanan, all being chased by a group of TIE fighters, until the droid finally takes matters into his own hands. Star Wars Rebels premieres on Disney XD this October.